Kevin Kadlec is a Shareholder who specializes in defense of companies both large and small in product liability cases filed in state and federal courts in Ohio. He focuses primarily on asbestos, silica, black mold and welding fume litigation. 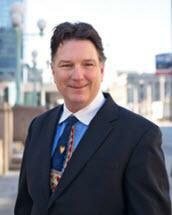 Mr. Kadlec has successfully defended more than ten thousand cases in over twenty years of practice. He has provided successful resolution of individual high risk cases for his clients through a combination of creative legal defenses, keen analysis of complicated scientific and medical issues and trial preparation. As a member of the product liability group, Mr. Kadlec can deliver a team of litigation experts capable of devising a strategy to evaluate and successfully resolve cases in numbers both large and small. Atlas Copco North American, Inc.